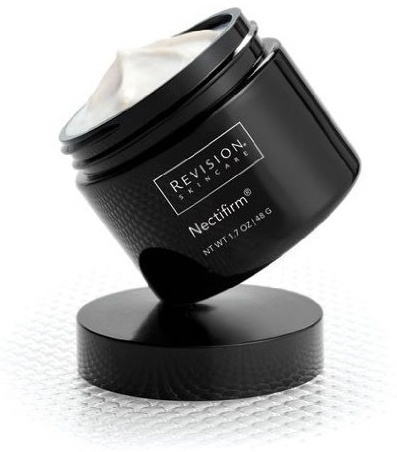 Sales of Nectifirm and Nectifirm Advanced, the two Revision Skincare products internationally renowned for their ability to rejuvenate ageing necks, have “grown 500 percent” in Australia over the past 12 months. Ian Carroll, the director of Envogue Skin (the distributor of Revision in Australia and New Zealand), says Nectifirm, which was rated the No.1 neck product recommended by medical professionals around the world in 2017 by Kline & Co, is now the No.1 neck care product in Australia’s medical cosmetic market too. According to Carroll, Nectifirm’s local success, which has seen the number of salons stocking Revision Skincare increase from four to 90 in the same 12 month period, can largely be attributed to the fact that the cream “really does work for the majority of clients”. 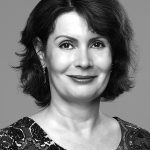 “Neck rejuvenation is one of the hardest areas to treat as the tissue can be quite thin and using high energy devices or dermal fillers is expensive and not always successful,” he says. “Nectifirm is however clinically proven to stimulate new collagen and elastin growth which help to tighten and lift the neck and décolletage. Carroll says local clinics and their clients have also been impressed with Revision’s other products such as Vitamin C 30% Lotion (containing 30 perhaps lipid encapsulated Ascorbic Acid), Revox 7 (a neuro-modulating peptide serum) and Intellishade (a five-in-one tinted moisturiser with UVA and UVB protection). Carroll, who set up Envogue last year “to bring innovative skin technologies to Australian and New Zealand cosmetic clinics”, says the company will launch two more Revision products onto the market this year and aims to increase its distribution to over 150 clinics. He says Revisionhas been a leader in peptide and antioxidant technology for more than 20 years and now uses “up to 20 different peptides to stimulate collagen, elastin and other skin proteins that are crucial for keeping skin tight and elastic”.